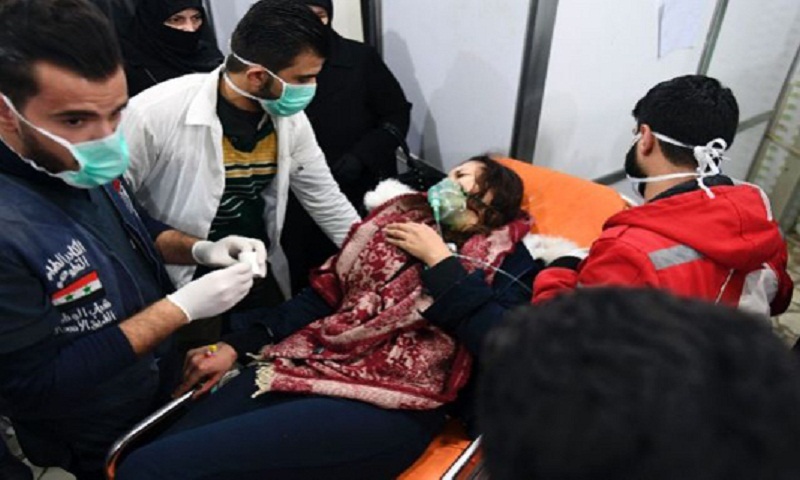 Russia’s defense ministry said rebels fired weapons containing chlorine on November 24 on the regime-held city of Aleppo, with Syrian state media reporting that around 100 Syrians were hospitalized for breathing difficulties. The United States said it had “credible information” that the chlorine account was false and that Russian and Syrian forces instead had fired tear gas. proper investigation of it by the Organization for the Prohibition of Chemical Weapons,” State Department spokesman Robert Palladino said in a statement. “We caution Russia and the regime against tampering with the suspected attack site and urge them to secure the safety of impartial, independent inspectors so that those responsible can be held accountable,” he said. In a similar statement, Britain said it was “highly unlikely” that chlorine or the opposition were involved in the incident. “It is likely that this was either a staged incident intended to frame the opposition, or an operation which went wrong and from which Russia and the regime sought to take advantage,” a Foreign Office spokesperson said, also backing an investigation by the OPCW, the international chemical weapons watchdog. Russia’s embassy in Washington hit back on Facebook. “The Russian Defense Ministry does not rule out that the US Department of State’s allegations about the recent toxic chemicals attack in Syria’s Aleppo are aimed at distracting the public attention from the crimes of the US aviation in the east of the Middle Eastern country,” the post said. Western powers, the United Nations and human rights groups have repeatedly pointed to chemical attacks by Assad’s forces. A Syrian gas attack in April 2017 in the town of Khan Sheikhun killed 83 people, according to the United Nations. US President Donald Trump replied by ordering 59 cruise missiles to strike a Syrian air base, a reversal from his predecessor Barack Obama’s controversial reluctance to respond militarily. In the latest incident, a US official said that suspicions were raised as Russia and Syria immediately put out similar official media accounts and quickly carried out strikes. The official, speaking on condition of anonymity, said that witnesses did not report the odor of chlorine that is characteristic of such attacks. Russia’s allegations over the latest incident come amid elusive efforts to find a political solution to Syria’s civil war, which has killed more than 360,000 people and displaced millions. Negotiators from Russia and fellow Assad ally Iran met last week with opposition supporter Turkey in Kazakhstan’s capital Astana, making no apparent headway in a UN-backed goal of setting up a constitutional committee by the end of the year.